Rarity - Arkansas golden healer clusters came only from one area of the Collier Creek Mine in Montgomery County. 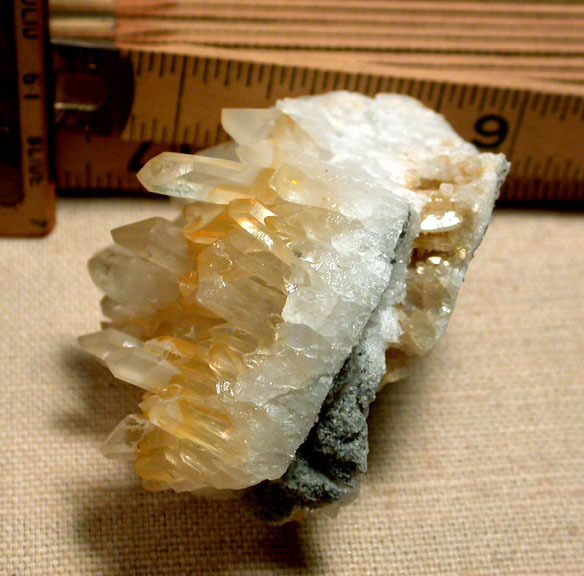 Golden - these rock crystals have iron inclusions which will not fade, nor change in acid baths. 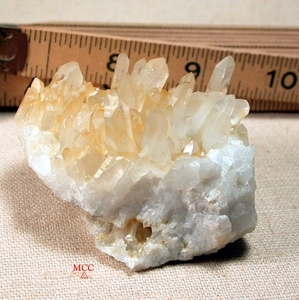 This cluster - has a layered sandstone base matrix with an extra group of golden healers revealed. 2x 3x 2" tall [small cabinet size], it safely self-displays two ways and glows from all angles. 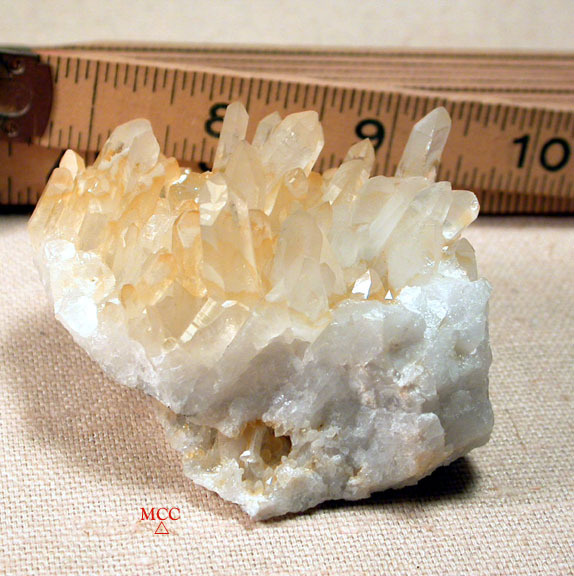 Several crystals have wonderful natural etching, two have an uncommon 7h face. There are twins and penetrated crystals, ancient missing members are 'already' in regrowth. We find just one chip and one conchoidal which do not detract from this group's energy and display.